My friend, Frank Turek, often says, “Even if I wasn’t a Christian, I don’t have enough faith to be an atheist.” In fact, as most of you know, Frank co-authored a powerful book with the same title: I Don’t Have Enough Faith to Be an Atheist. When I first examined the Gospels, I became convinced of their reliability, but I wasn’t yet a believer. I began to slowly inch from atheism to agnosticism, however, and this movement was caused by my growing confidence in the historical record related to Jesus. But if a resurrection actually occurred, I knew I was going to have to reconsider my atheism and begin to examine the evidence for God’s existence. It was time to answer the question: Is God real? Evidence from the Second Law of Thermodynamics, the expansion of the universe, the radiation echo, the abundance of Helium in the cosmos and the philosophical problem of infinite regress indicate we are in a universe that began to exist at a fixed point in the distant past. 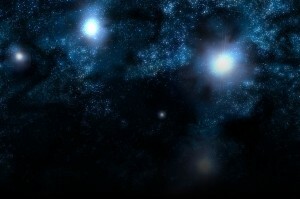 The Principle of Causality requires us to look for the cause of our universe based on the finite nature of the Cosmos. Every effect, everything that begins, everything that changes, everything that is finite, and everything that is limited has a cause. The first cause of our finite universe must also be uncaused in order for us to avoid the irrationality of an infinite series of causes. All of us, regardless of worldview, are searching for the uncaused, first cause of the universe. Scientists and cosmologists have proposed a number of alternative explanations in an effort to avoid the cosmic singularity described by the Standard Cosmological Model. The proposals (including eternal inﬂation, cyclic evolution, and emergent universe models) fail to eliminate the need for an uncaused, first cause. There are two kinds of forces in the universe: personal forces and impersonal forces. Impersonal forces, like the force of gravity, have no choice about how they affect their environment. Impersonal forces cannot decide when to act; if they are present, their effect is felt. If the cause of the universe is an impersonal force, its effect (the appearance of everything from nothing) would be realized the instant the force was present. If the force is impersonal, the cause of the universe could be no older than the universe itself. But if that’s true, we would once again find ourselves looking for whatever caused this first cause. The ultimate cause of the universe must itself be uncaused and eternal in order for us to avoid the illogical and endless pursuit of a prior cause. If the cause of the universe had the ability to decide to bring the universe into existence, this cause is personal. Only personal forces have the ability to decide. The Bible repeatedly describes the causal force of the universe as a personal agent possessing the characteristics anticipated by science and cosmology: God is described as an uncaused, non-spatial, a-temporal, immaterial and personal cause with incredible power. The God of the Bible meets the criteria outlined by science. Is God real? The evidence from cosmology certainly seems to point us to an affirmative conclusion. This cosmological evidence is only one piece of a larger cumulative case for God’s existence. 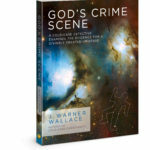 As the evidence amasses from a number of divergent areas of study, the inference of God’s existence becomes more and more reasonable.